These photos reveal the quality of our work, as we take pride in every job we do by leaving a lasting impression. 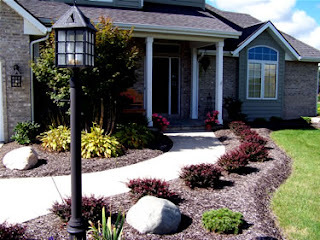 Pringle Property Services, LLC offers a wide range of property Maintenance, restoration and management services, ranging from landscaping, remodeling, plumbing, and electrical, with handyman installations and repairs, although most of these services are provided through our trusted partners, our main focus is designated towards cleaning. Choosing PPS Cleaning would prove to be one of the greatest choices you can ever make towards maintaining a clean and healthy environment, knowing our rates are affordable and services speak for itself, with excellent customer feedback. Our staff will began by providing you with great customer greetings and services, making you feel secure in trusting us to handle your cleaning needs. 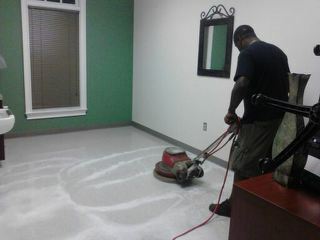 Pringle Property Services, LLC Cleaning is now servicing Atlanta, Georgia, Montgomery, Alabama and their surrounding areas. Since 2011 PPS Cleaning has contributed to the healthiness of residential and commercial environments, specializing in home cleaning, deodorizing, disinfecting, carpet cleaning, window cleaning, grounds keeping, building maintenance, pressure washing, post construction cleaning, Floor buffing, janitorial maintenance, move-in and move-outs, devoting our main cause to reducing the disease percentage rates caused by bacteria within many establishments. Pringle Property Services, LLC founder/CEO Mr. Derrick Pringle Started with the name Pringle Services in 2011, using one bucket of cleaning supplies and a fixated procedure, while building a reputation of delivering a product that leaves a lasting impression, Mr. Pringle used most of his profits to purchase better supplies, uniforms and equipment, although there were many challenges and multiple competition, he was not deterred. After one year of being in business the company has grown fairly and has acquired a considerable amount of assets, allowing us to deliver an even better service with a higher quality. Many homes and organizations take for granted the amount of germs which are distributed to door knobs, toilets, counter tops, desk, refrigerator handles, carpets, cabinets, chairs, sofas, blinds, floors, sinks, etc., while PPS Cleaning has recognized this dilemma and made it the reason for its devotion. PPS is Licensed and Insured and our cleaning techs have passed a two week training course, based on policy, procedure and safety, while taking this in consideration, PPS cleaning uses cleaning solutions prepared especially for the refreshing, disinfecting and green environment contribution to all areas within your establishment, treating every home and office place as our own. Our trained cleaning techs are precise, professional, persistent and consistent in their work, as it is our company policy to deliver 100% customer satisfaction. We made rates affordable so our service can become available to the majority of homes and business establishments. We are in operation 6 days per week Monday through Saturday 9 am – 5 pm; also follow us on Facebook, Twitter, Linked-in, Google+ and Blogger for our special offers and updates. We are looking forward to your business and wish you a blessed and prosperous day. We appreciate your interest in Pringle Property Services, LLC. Whether preparing for the holidays, in the midst of spring cleaning, or enhancing the look of your business or residents, let us take this tedious task and make it worry free. From sun rooms, to showrooms, and skylights to storefronts, we do it all. If you are looking for a one time construction clean-up or your business demands weekly cleanings, you can rely on us to get the job done. Use the professionals at Pringle Property Services, LLC to meet your property Management,cleaning and Improvement needs. With more than 5 years experience and offices from Georgia to Alabama, we've turned Property Improvement into an art form. Alabama: Opelika, AL, Auburn, AL, Tuskegee, AL, Salem, AL Smith Station, AL, Phenix city, AL, Ladonia, AL, and Heatherbrook, AL. Pringle Property Services limited time Special: 50% off $10 window cleaning, on each 35"x35"
We appreciate your interest in Pringle Services, LLC. Whether preparing for the holidays, in the midst of spring cleaning, or enhancing the look of your business, let us take this tedious task and make it worry free. From sunrooms, to showrooms, and skylights to storefronts, we do it all. If you are looking for a one time construction clean-up or your business demands weekly cleanings, you can rely on us to get the job done. Use the professionals at Pringle Property Services, LLC to meet your window cleaning needs. 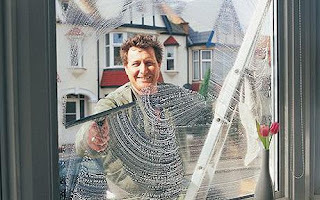 With more than 5 years experience and offices from Maine to Georgia, we’ve turned window cleaning into an art form. At least that’s what we hear from our more than 22,100 satisfied commercial and residential customers. We pledge to provide the highest value in window cleaning service. We will deliver superior service to every customer, every time, with 100% satisfaction guaranteed. Our commitment to this pledge is your guarantee of quality performance. Professional Painting in residential and commercial environments, devoted to providing Atlanta, Ga and surrounding areas with the finest in Interior Painting. We offer a wide variety of services to include: Interior painting, Exterior pressure washing, deck sealing, wallpaper removal, drywall repairs, rotten wood replacement, crown molding and chair rail installation. Customer satisfaction is our #1 priority. We take pride in our attention to detail and providing the highest quality of customer service. 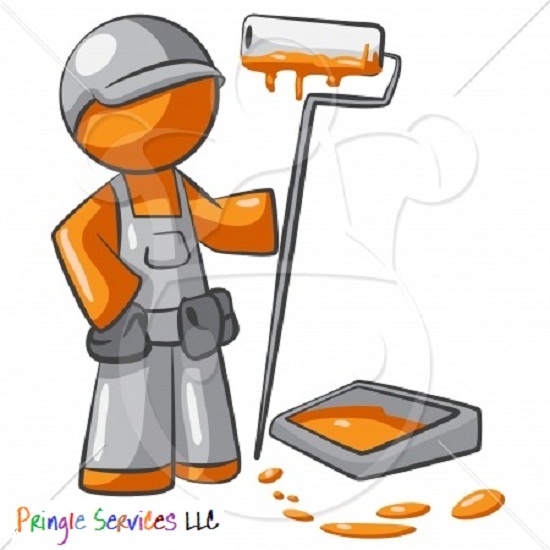 Professional Painting GUARANTEES all work for a period of 3 years. In spring, February-May, we will cut back anything that needs to be reduced in size, thin plants as needed, perform corrective pruning, cut back perennial tops, inspect and treat for disease and insects if necessary, spray any existing weeds and apply a preventative weed treatment. In summer, late July-August, we evaluate how the plants have grown out since the spring trimming. We generally shape plants back up to the size that we had them in the spring. We perform corrective pruning to the new growth, inspect again for disease and insects and treat if needed, spray any existing weeds, and reapply preventative weed treatment. Many of our residential customers choose to do the summer trim themselves after they have us do it the first year. Most landscapes need re-mulched about every other year. We can provide this service as well as re-edging the landscape beds, which can be done in the spring or summer. We also do winter tree trimming. Proper tree pruning is probably the most misunderstood landscape maintenance practice. Because trees can get quite large and are capable of living hundreds of years, a person who doesn't know what they’re doing can cause serious permanent damage. For this reason, we offer corrective pruning services on small trees (under 20 feet). Plant, bush & tree planting = (on site quote required) land survey, estimating time, supplies and labor. Landscaping reconstruction and design = Pricing will be determined by customer preference, layout samples can be provided. Samples Include: Planting, structure placements, walkways, fencing, etc. 1) When we say that I am going to do something, we do it. 2) Our love for the business shines through in every landscape we install. 3) We take care of My equipment and invest in new technology. 4) We constantly look for ways to improve. 5) If we make a mistake, I admit it and do what it takes to make it right. 6) We have an established reputation in the community and take personal interest in helping our community look good. 7) we designs and installations professional. 8) Communication is critical! I do my best to keep clients up to date on the progress and details of their projects and welcome any questions that they have. 9) We am very affordable and reliable. 10) We am trustworthy, honest, hardworking and have my clients best interest at heart. Welcome to Pringle Property Services. Also Operating within Douglasville, Villa rica, Mableton and Dallas, Ga, many people love our cleaning, maybe it's because we are precise, consistent, reliable, and take pride in what we do. Our service has been providing one of the best home/commercial cleanings for 2 years and have been receiving outstanding feedback and compliments ever since. Most people point out the fact of our work being concentrated and focused on making their home presently comfortable and refreshing. The truth is, we are really concerned about the same things they are concerned about, and that's their health. Pringle Services has acknowledged the high percentage rates of viruses and physical diseases cause by bacteria in the homes and commercial environments, and have designated their main cleaning purposes towards reducing the potential hazards of these conditions. Our service comes to clean and disinfect all areas of your establishment and leave no area untouched, assuring our contribution to a healthy environment and reducing the sickness rates as much as possible. While providing our services to your home and commercial facility at reasonable rates, we're making it easier to stay safe. Wiping and dusting television and all appliances. Picking up anything on the floor and folding if necessary. Straightening up and organizing neatly. Window cleaning: $5 per window each Size = 31" x 35"
Interior: removal of all contents, clean racks and disinfect interior, replace contents and wipe them clean. Exterior: Removal of all contents, cleaning and disinfecting surfaces, including handles, switches and components. Interior: Removal of racks, degreasing, cleaning and disinfecting, scraping of all carbon residues. Exterior: Cleaning and disinfecting surfaces and all components. Carpet Shampooing $20 per room: (15' x 3' Hallway included) $10 each additional. Home/Property cleaning and improvement services, consisting of landscaping, handyman installations, repairs, maid services, window washing, painting, auto detail, garage, basement and attic organizing with rubbish/garbage removal.